The Alabama State Board of Health is constantly rewriting the Rules and Regulations for permitting septic system installations throughout the State. 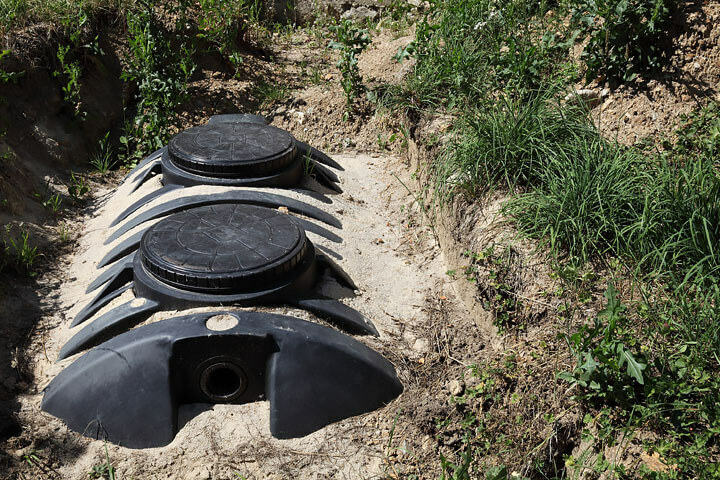 There have been numerous septic system failures in the past due to inherent weaknesses in the current set of state rules. Basically, these rules allow any professional engineer, land surveyor or registered soil classifier to perform percolation and soil testing at any potential building site, regardless of his/her background and training. In my opinion, percolation tests have long been treated by many professionals, mostly land surveyors and retired engineers, as an easy way to make some pretty good extra spending money. In other words, $250 bucks a pop, a few times a week, can come in pretty handy and/or help one leave his retirement savings in tact. Moreover, the tendency for nearly all of the public (including builders/developers) is to find the cheapest percolation test that one can get. Two-hundred and fifty dollars seems to be the current minimum. The other limitation of the old Rules and Regulations has been a fairly strict reliance on the good ole “percolation test.” In other words, if the “perc rate” is acceptable (passes), and the engineer or land surveyor is willing to stand behind it, then a building site is nearly always approved for septic system installation-regardless of the qualifications of the person who ran the test. You may have noticed that I left out “registered soil classifier” in the above examples. My reason is that in my opinion this is the only professional truly qualified to perform soil and percolation testing, because this is the only professional that receives extensive “soils education” (throughout college) and later in-the field-training throughout his professional life. Registered soil classifiers are typically soil scientists. They understand the different types of soils that exist in our world and they can describe any type of soil (in their sleep! ), using standard color and soil texture descriptions, such that any other professional in this field can understand the soil make-up without ever seeing/touching it. Soil scientists can look at the natural soil profile at any potential building site and determine how well the soil will percolate throughout the year-without ever running a perc test. These individuals would never let a standard septic system (concrete septic tank and buried gravel-filled trenches) be installed at a site where the soil conditions demonstrated millions of years of high water table conditions or where a site was underlain by highly plastic, massive, clay soils. On the other hand, there are many land surveyors and professional engineers that will run a percolation test on these same sites, during late summer or early fall, when the massive clay soil shrinks and cracks open and/or the seasonal high water table drains down or dries up, and obtain a passing perc rate. The end result is that some poor Joe will buy the land, get a standard septic system installed, then later find that he can’t flush toilets during the first wet winter. Believe it or not, this is a common problem. The current revision of the proposed new State Board of Health’s Rules and Regulations for Onsite Sewage Disposal will require site evaluations by professional soil classifiers whenever lot sizes are small, so this should help prevent the above scenerio from ever happening again. Sites with massive clay soils or seasonal high water tables will be required to have very tall, above-ground mounds to serve as the septic tank effluent disposal field. The house/business will have a primary septic tank, followed by a secondary septic tank or pump tank, followed by a pressurized distribution system that spreads the pumped septic tank effluent over the top of the mound. As the wastewater effluent trickles down through the mound soil, it is filtered and biologically purified, then spreads out over the large mound foot-print so it can be absorbed by the natural soils. If the natural soils are highly plastic clays and the site has a seasonal high water table at or near the ground surface, then the mound will likely be about 4′-6″ tall and measure about 60 feet by 100 feet at its base. The cost for this type of system may be around $20,000 after all other site drainage/landscaping improvements are made. Special treatment systems will be used to help purify the wastewater before it is disposed of on site. Examples are sand filters, peat filters, foam filters and aerobic treatment systems. These types of “pre-treatment” septic systems will cost about $8,000 to $10,000. Decentralized wastewater treatment and disposal systems will be used more and more instead of conventional backyard disposal systems. In other words, every house in a subdivision will pump its wastes to a central disposal site that serves the entire community. The most economical systems are called STEP Systems-Septic Tank Effluent Pumping Systems. Each house will have a septic tank with a stainless steel, high-head well pump mounted inside a screened pump vault. This pump will send small doses of septic tank effluent into a small diameter “community” pressurized sewer pipe. All of the wastewater is then directed to a central treatment and disposal area which has been set aside to serve the community from the start. The collected wastewater will be purified using aerobic treatment or sand filtration or similar, then it can be disposed of (safely) into a large public (below ground or above ground mound) drain field, or discharged into a nearby river or stream. Each type of treatment/disposal system will require some degree of monthly maintenance (professional care/supervision) in order to provide the public (State) with the needed assurances that the system is not polluting the environment. Cost per unit (house/business) will decrease with larger and larger systems, naturally. Estimated per-unit costs are $15,000 to $40,000, with monthly sewer fees ranging from $20-up. Sophisticated individual treatment and disposal systems will become commonplace. Examples are aerobic treatment followed by sterilization (chlorination, ozonation or ultraviolet radiation) followed by drip irrigation disposal, where the drip tubing is used to irrigate lawns, shrubs, trees and non-edible plant and flower gardens. These types of systems are already commonplace in the arid regions of our country (Southwest) where water is an expensive commodity and people are rewarded for wastewater reuse.